Why on earth would a person want to start a homestead during this day and age? I mean, come on, you can go right down the road and buy everything you need from Wal-Mart. So why make yourself work harder than necessary? When it's more convenient to just buy everything you need, and who really cares these days if you can make a loaf of bread from scratch, why start up a self-sufficient homestead? Well I am about to give you five reasons why you should start one. I started dreaming about having a homestead four years ago. We were living in a big, beautiful, brand new house I thought would make me happy, but something starting stirring deep in my soul and the excess of having a big house with a family of three really started to bother me. I felt like we were not being good stewards with our finances. I was slowly waking up to the reality of consumerism and it's affects on people and I wasn't willing to be just okay with that anymore. Not that I am perfect....I enjoy a $5 coffee every now and then too. I have always been close to my grandparents and I love sitting and listening to them talk about their childhood. I'm fascinated with learning how they survived back then and how it was the norm to cook, bake, and harvest your own meat rather than buy it at a grocery store. I must say, big corporations and government assistance have made it very convenient for us to solely rely on them. I am not a prepper but I do believe that tragedy can, and will, strike again. It's a cycle that happens naturally throughout time. I often wonder what people will do when times get hard again? How will they feed their families from nature when they've never learned how to? We have entire generations being raised right now that don't even realize the meat they eat comes from a cow! It's ridiculous how far removed we are from our food sources and the reality of where they come from. My grandpa and his homemade chicken coop. 1. Your children need to learn how to provide for a family when times get bad. You may not live to see this but they most likely will. Don't you want them to be able to care for your grandkids and survive? What's that saying again? "Give a man a fish and he eats for the day, teach him to fish and he eats for a lifetime." That's the mentality you need to have with your children. You want them to learn self-sufficiency by growing a garden, working hard, and hunting for meat. 2. Use what God has given you wisely. If all it takes is a little time and effort to bake a loaf of bread, make up some biscuits, and grind our own meat, that's what I want to do. Sure, the initial cost of some of the equipment for this stuff is high, but in the end it saves you a ton of money. 3. By being more self-sufficient and stretching your dollars, you can help others. If the greatest commandment is to love God with all your heart, soul, mind, and strength, and love others as yourself how you doing on that? Sometimes, loving others as yourself means providing physical things for them. I cannot provide for others if I am up to my eyeballs in debt and I am barely making it from paycheck to paycheck. Sometimes providing for others may not come in financial ways but in the time it takes to bake or fix something for them. All skills you learn when you decide to start homesteading. 4. It's healthier for you. Let's be honest, when I make a loaf of bread for my family there are about 4-5 ingredients in it. When I buy it from the store (which I still occasionally do...I'm not perfect by golly) it has numerous ingredients that I can't even pronounce. Have you ever tasted a tomato from the grocery store and then tasted one from a home-grown garden? Absolutely no comparison, my friends. A tomato from a garden is a delicacy that is sweet and juicy while a store tomato is flavorless and has a chemical treatment done to it so it ripens rapidly and looks red. Harvesting the non-sprayed, non-GMO corn we grew this summer. Putting corn up for the winter months. Canned tomatoes for the winter. Making bread and hamburger buns. 5. If "You know what" hits the fan....we'll be okay. I have full confidence in the abilities that we have acquired over the years and know we can survive quite awhile with these skills. It's empowering to know that you could survive off the meat you hunt and veggies you grow if you had to. Ma and Pa Ingalls, along with my grandparents, knew how to do all of this. I'm sure Caroline would have loved electricity and a washer and dryer....and I love mine. But I also love learning how to do without it if the need arises. I am not going off grid anytime soon because I don't want to, but I want to learn the required skills if it was to become necessary. Obviously, God is the ultimate provider for us when things get rough, but He gave us a brain and we ought to use it. Honestly, a lot of the reason why people are not more self-sufficient these days is because of time issues and laziness. We don't have the time or the ambition. It's sad that society has fed us the lie that if we're not running around like crazy, consuming everything we can, working 2-3 jobs making money to pay for all our 'stuff', we aren't accomplishing anything. I may be a conspiracy theorist but the world sure has done a good job at making us not think for ourselves. I mean, if the TV wasn't there to tell us how to dress, think, feel, and act what would we do? In closing, I want to encourage you to try something new. Make a loaf of bread, can some tomatoes from your garden or farmers market, or find someone to teach you to hunt. There are so many YouTube videos and resources out there to help you on this journey. Please know that I am not an expert and I'm learning things every day right along with you! 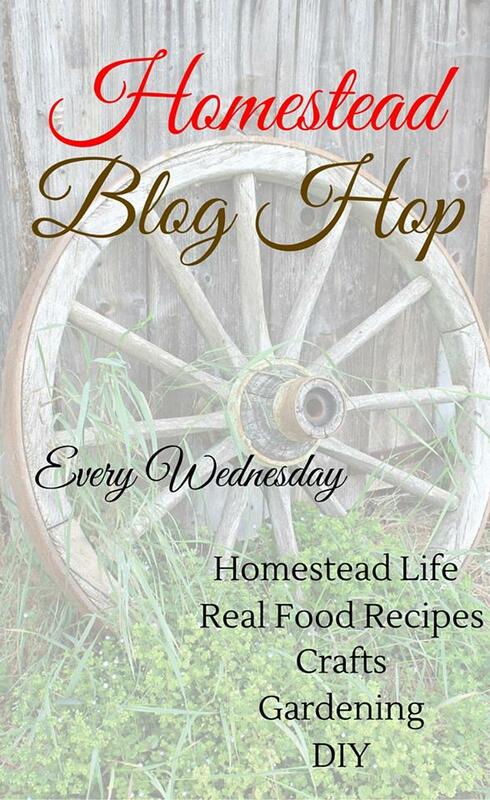 There are many, many homesteading websites you can visit. 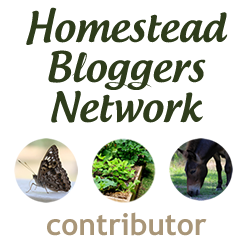 I recommend checking out the Homestead Blogger's Network. Some of these bloggers have become personal friends of mine and they have lots of great resources for you. I hope your day is filled dreaming about future homesteading goals like mine will be! Before you even start looking for your new house, you need to spend time looking for a real estate agent too. Make the wrong choice and this can be a long and painful process. Remember, you will be spending at least 3-6 months working with that person just about everyday, so be sure you find one that compliments your personality.